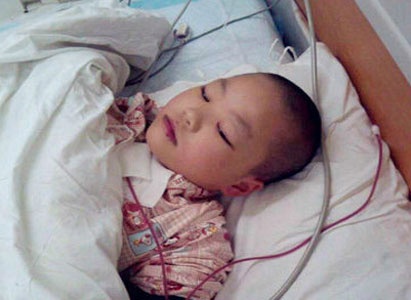 Do you still remember the Little Leukemia Girl—Jingwen? 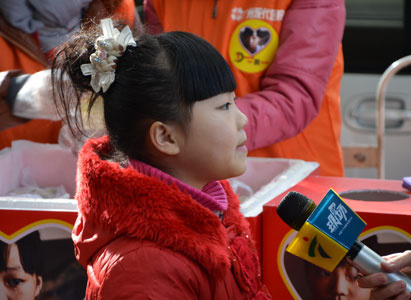 In December of 2013, Modern Cancer Hospital Guangzhou began to build a dream trip for the little leukemia girl Wang Jingwen, who was such a brave and optimistic girl despite suffering from leukemia and a distressed family circumstances. The “One Yuan Jingwen Milk”, the “Love Concert” on Bai Yun Mountain and the love donations from our overseas branches made her trip to Guangzhou full of love and considerate care. Fortunately, in February this year, she met the matched bone marrow. Now we can’t wait to share you another good news from Jingwen’s parents, that is, on 29th of April, Jingwen’s bone marrow transplantation has been performed successfully. What an inspiring news for all of us! We just hope little Jingwen get a good recovery and bloom in her life stage forever! God bless her! The Loving Care for Little Jingwen is still moving on.